Very early during our stay at Yowah, I was asked to take this year's school photos. It wasn't something I had done before but I do take a lot of photos and was happy to offer my services. My good friend Naomi (a great photographer, with far more experience than I) gave some tips and much-appreciated support from the sidelines. Between her advice and my innovation, I'm quite chuffed with the results, which have definitely exceeded my expectations. It was a fun morning, though I was pleased that there were only a few students and staff for my first foray into school photography. Once home again, I chose four or five photos of each child to copy onto a disc. I did minimal editing to the group shots, before selecting two or three of each configuration to include on the same disc. I was able to apply borders and captions to the group photos, so gave several choices for each selection. Perhaps on another visit I'll get to see the printed and framed copies hanging in the entryway. 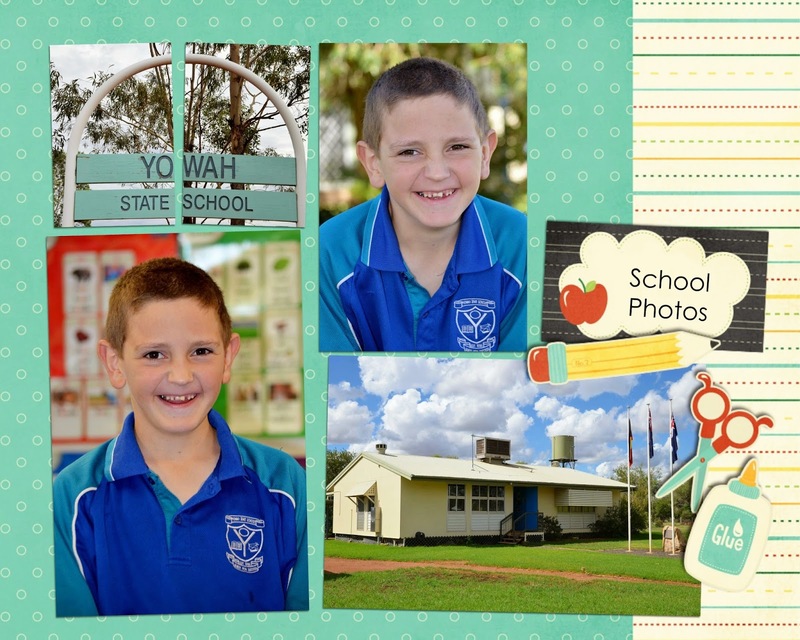 Vaughan will have school photos taken again later this year, at his usual school - so will have two sets for 2014, which is pretty neat! Pleased I could offer you scant advice. Not that you needed it! You did a great job and I am sure the students and teachers will appreciate your fine efforts for years to come. I since heard how much the students enjoyed the morning - and one commented that they felt like movie stars!